Forest department of Kerala, took initiate to construct eco lodge for experimental learning to support local communities in Thekkedy. 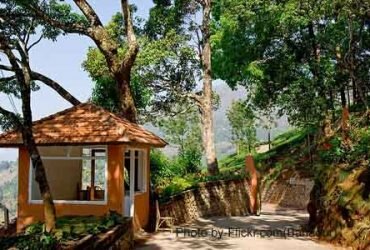 The 15 bamboo cottages constructed with hygienic and modern furnishings located very close to Thekkedy Wild life. The Bamboo Grove programme also offers an eco-friendly environment to conduct seminars, symposiums, workshops and training programs in the centrally located ‘Kalari’, a conference hall with audio-visual facilities. 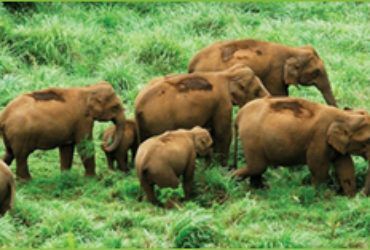 The Bamboo Grove package consists of an orientation programme, a visit to a tribal colony, wildlife film shows, bird watching, trekking and a complimentary boat ride on the famous Periyar Lake. Lunch and dinner on the first day and breakfast on the second day are included in the package. Double-bedded accommodation in bamboo cottages; breakfast for two provided. Group size: Two people per cottage; maximum of 30 tourists in 15 cottages @Rs. 1500/- per cottage. For hiring the seminar hall (Kalari): Rs. 3000/- per day, for a maximum of 50 persons. Only children of 12 years and above are allowed to participate in the above programme. 16:00 Hrs to 18:00 Hrs – Trekking in Periyar wild life sanctuary with guide. 4/5 kms will be covered in this trekking. 18:00 Hrs to 19:00 Hrs – Tribal Dance in the Auditorium. 19:00 Hrs to 20:00 Hrs – Wild life movie. 07:30 Hrs to 09:30 Hrs – Boating in Periyar wild life sanctuary. 09:30 Hrs – 10:30 Hrs – Breakfast. 1. Without package – only cottage accommodation for 2 adults. Cost not included or Additional Cost – Entrance Fee. Do you want to know more about this Periyar Tiger Reserve national park? 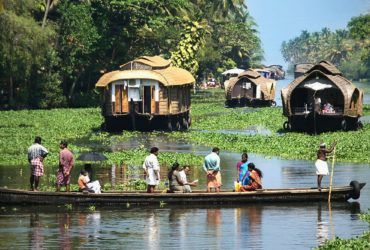 Contact to Kerala’s leading tour & travel operator – SreesTours to make your trip.